he members of XTC may not be living the adolescent rock'n'roll fantasy they dreamed of as youths back in Swindon, England. They don't cruise around in Rolls Royces, and they probably prefer a pint of ale to Veuve Cliquot. But they have made an amazingly consistent career out of constructing slightly psychedelic, rustic pop songs reminiscent of the Kinks and the Beatles. After dipping into the orchestral pit on the melancholic Apple Venus Vol. 1, XTC dusts off its electric guitars for Wasp Star (Apple Venus Vol. 2), a determinedly pop record that is as bouncy and effervescent as anything the band has done in its 25-year history. 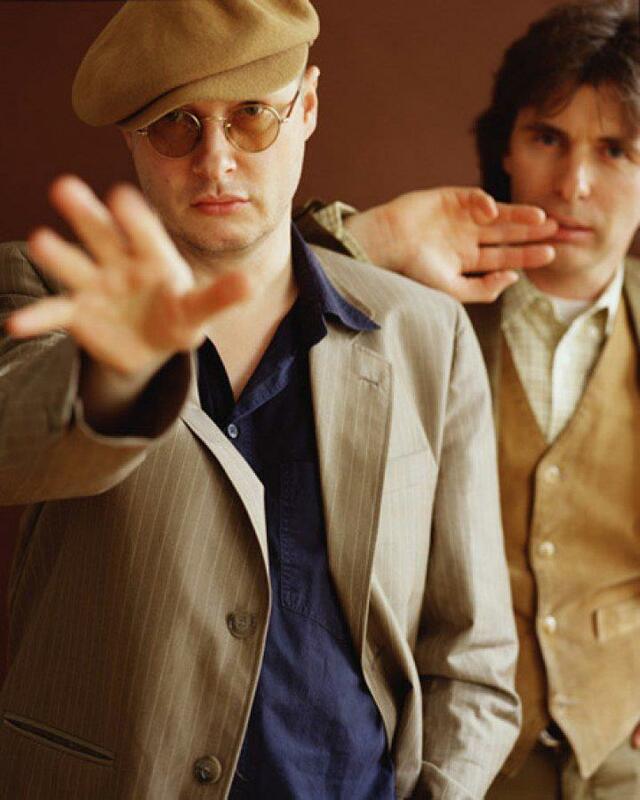 Between a recording dispute and a cornucopia of personal problems, band members Andy Partridge and Colin Moulding seemed to have been riding an emotional seesaw throughout most of the '90s. But if Vol. 1 was the sound of the wooden plank hitting the ground, then Vol. 2 is its joyous upswing, defying gravity for a brush with the bright blue sky. "The material that made up Vol. 1 & 2 was written during a time of the lowest lows and then the highest highs: divorce, illness, legal problems with Virgin Records," Partridge says. "I was drinking too much, just feeling really sorry for myself. Then I fell in love, got a new record deal, and was able to record songs again." Romantic euphoria is a big part of Wasp Star. Partridge even celebrated his newfound bliss by writing a song called "Stupidly Happy," which he refers to as "thrillingly moronic," because of its one repetitive chord. "It's like wallpaper passing in front of your eyes very fast. There's a thrill to the cheap image over and over," he says. But not all is bonny and light. "Playground," the first song on Wasp Star, revisits the cruelties learned in the formative elementary school years. Partridge, who is chatty and charming despite unseasonable heat and a hotel room with a semi-broken air conditioner, readily admits that he detested his school-going experience. He says, "I was the thin, artistic freaky one in class, but the class joker, which saved me from bullying." He concurs, "If you could make someone laugh, they were so busy chuckling that they weren't hitting you." It doesn't look like Partridge or Moulding will be attending any class reunions in the near future. When they cross paths with school chums in their hometown, the soft-spoken and reserved Moulding says it often renders embarrassing results. "It's like, ‘Remember at school, I used to egg you?’ There's a telepathy going on, but it's never brought out into the open for fear of embarrassment. They probably think we split up in '82 or something, because that's when we had the majority of our English chart success," he says. Partridge agrees, "We're definitely dealing with the English culture of resentment. It's an enormous part of the English make-up. But I've come to the conclusion lately that our lack of success has been extremely good for our music. If we had been backed into the blind alley of success early on, we'd have thought, like all humans do, that we'd found the formula to success, and then we wouldn't have grown." 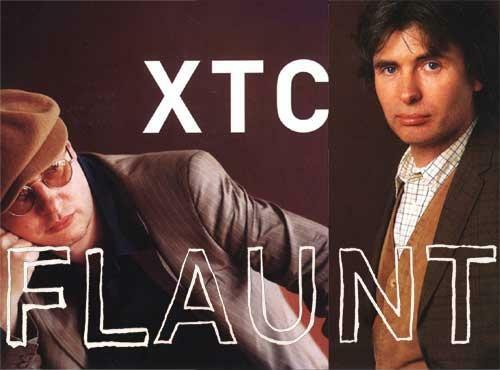 Though the band has had cult status for some time, thanks to minor hits like "The Mayor of Simpleton," "Dear God," and "Senses Working Overtime," XTC has never reaped the commercial rewards of its heroes, despite perfecting its songwriting craft. Moulding says, "The way I look at it is that the people that we look up to are the great songwriters, like Brian Wilson, Ray Davies, and Burt Bacharach. They did have chart success. We are aspiring to actually write songs that are as good as what they've done, but we just haven't had that kind of chart success."